Order these great items and have them shipped to your door! 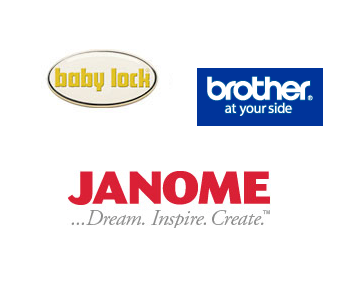 Stewart's is proud to carry sewing and embroidery machines and sergers from some of the top companies in the business, including Baby Lock, Brother, Elna. and Janome! We stock a large range of machines so stop in and take one for a test drive today! Stewart's carries a variety of quilting fabrics from the top names in the business including Moda, Robert Kaufman, Red Rooster, Michael Miller, Bali Batiks, Blank Textiles, Henry Glass, and many more. 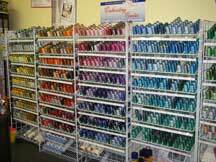 Stop in to see our shop with more than 2,000 bolts of fabric ready for your next quilting or sewing project. We love embroidery as much as we love quilting so we carry a nice variety of embroidery designs from Anita Goodesign, Embroidery Garden, Hoop Sisters, Kimberbell, Lunch Box Quilts, and Claudia's Creations. 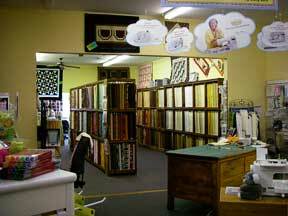 Stewart's carries several lines of thread for sewing, quilting, and embroidery. We offer Mettler threads in Quilting, All-Purpose, Fine Embroidery, and Variegated, Aurifil for quilting and piecing, Aerolock serger thread, and Isacord & Jenny Haskins embroidery thread. 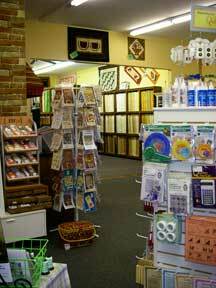 We have a broad range of books, patterns, and notions to fit your sewing/quilting/embroidery needs. 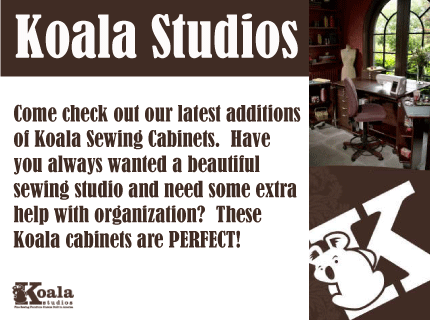 Stop in today to get inspired on a new project! We have the latest and greatest books and patterns and carry notions from Clover, rulers from Creative Grids, and sewing machine supplies like Schmetz needles. We have a wonderful selection of extra large buttons for that new bag or purse to give it that extra POP of color!